If we didn’t have corn casserole for the holiday, did it even happen? That is truly how I feel! 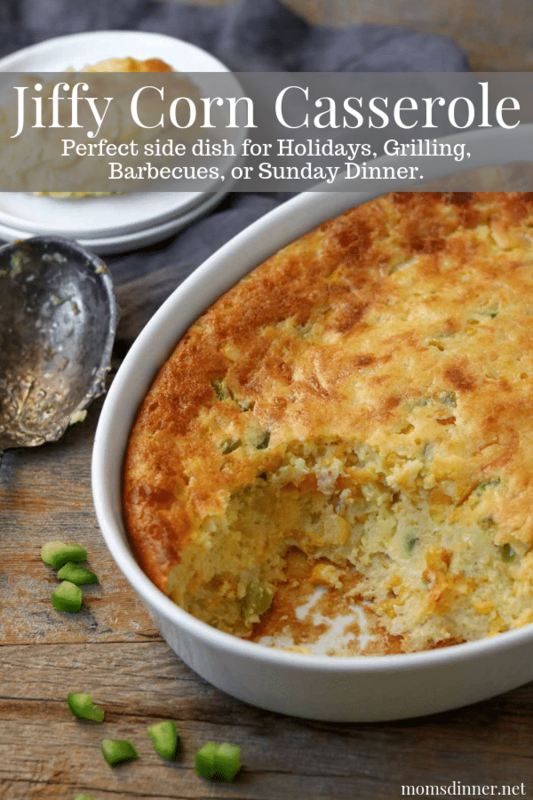 Any holiday we are celebrating, whether it is Thanksgiving, Friendsgiving, Christmas, Easter, 4th of July… Corn Casserole is the one dish that I want to see on the table. This is the recipe that my Mom always made and is now passed down to my generation. It certainly doesn’t fall in the healthy category. But, don’t mind the ingredients (stick of butter, cup of cheese, cup of sour cream, 3 eggs), just enjoy the amazing flavor in ignorant bliss. It’s good to indulge every once in a while, right!? 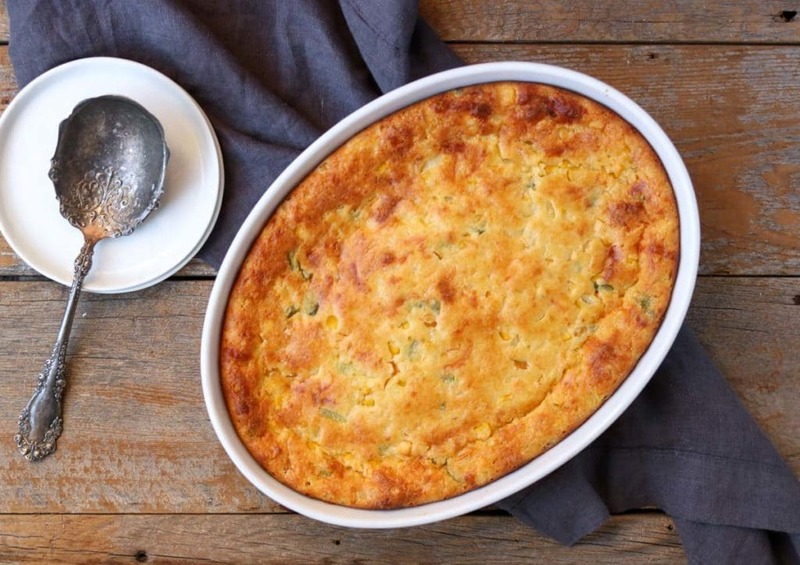 To my family, Corn Casserole is a side dish that is made with a mixture of corn, corn bread, sour cream, cheese, onions, and peppers… and a lot of butter. It is a slightly sweet, yet savory, side dish. It has the perfect consistency, somewhere between soft bread and pudding. This is actually a super easy recipe. Which is great for the holidays when you have a lot of labor intensive dishes to make. 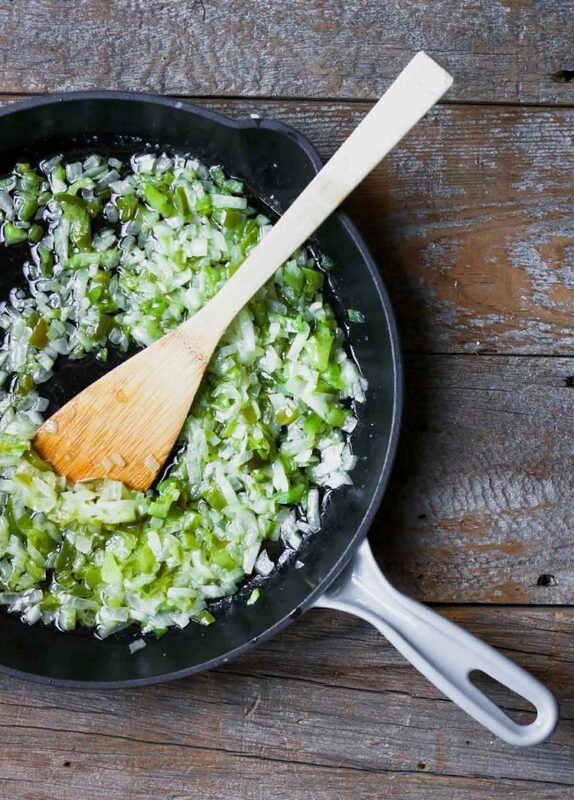 In a saute pan, over medium heat, melt 1 stick of butter… oh yeah, good start!! Add the chopped onions, green peppers and salt & saute for about 5 minutes. Let the onions and green peppers cool for a few minutes then stir it into the corn mixture. Pour that mixture into a small baking dish, like a 9×9 pan. At this point you can refrigerate the Corn Casserole and bake the next day. When you are ready to serve the Corn Casserole, bake at 350 degrees for 45 minutes. This recipe is also easily doubled for a crowd! Simply double all the ingredients and use a 9×13 baking dish. 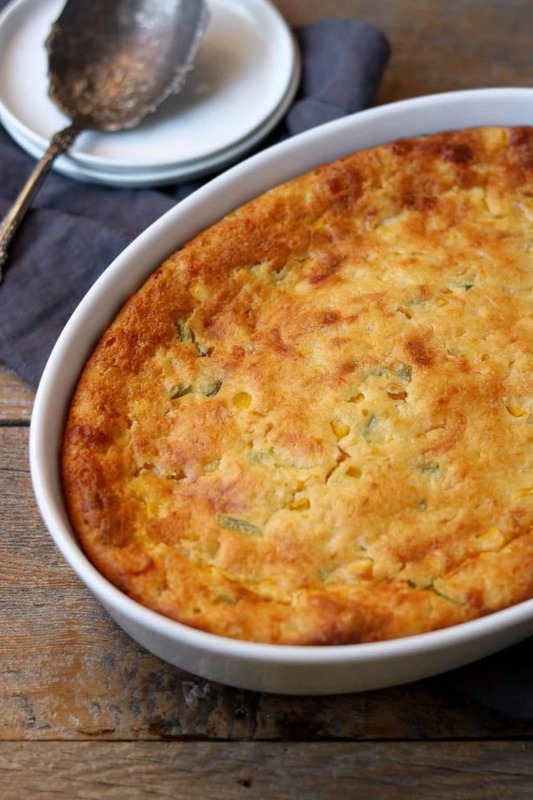 I hope you give this recipe for Easy Jiffy Corn Casserole a try in your kitchen. SAVE THE RECIPE FOR LATER. PIN IT HERE. 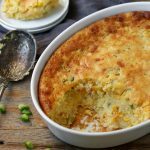 Jiffy Corn Casserole is an easy side dish that can be made ahead. Sweet corn is mixed with cheese, sour cream, onions, green peppers, and Jiffy Corn Muffin Mix. 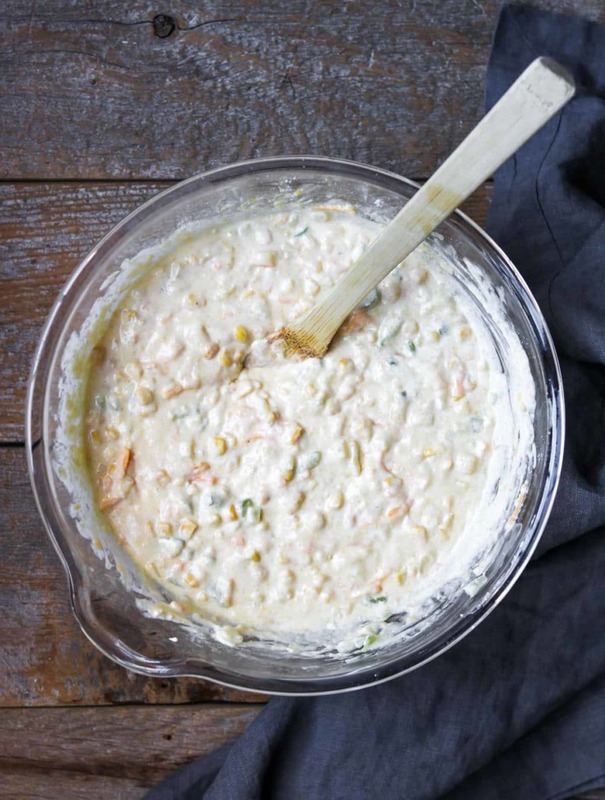 This makes a great side dish for barbecues, holidays, or Sunday family dinner. In a saute pan, over medium heat, melt the butter and saute the chopped onions and green peppers with the salt for about 5 minutes, until softened. Meanwhile, mix all the remaining ingredients in a large mixing bowl. Let the onion-pepper mixture cool for a few minutes and then stir into the corn mixture. Pour the Corn Casserole mixture into a small baking dish, around a 9x9 size or a 2 quart casserole dish. Bake, uncovered, for 45-50 minutes until the top is golden brown. Prep the corn casserole batter mixture with all the ingredients. Pour it into the baking dish, cover with foil, and refrigerate for 1 day. Bake as normal the next day. Simply double all the ingredients and bake in a 9x13 baking dish. 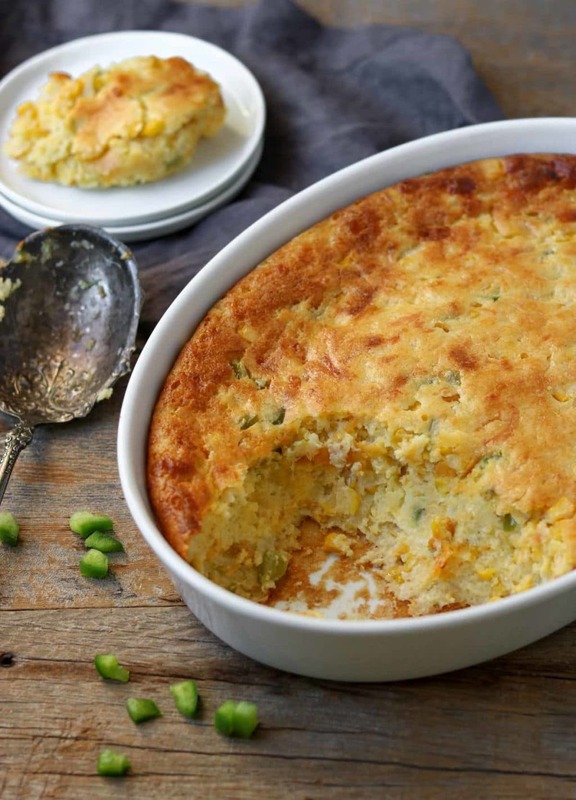 I have been searching for a corn casserole recipe- this looks perfect!! This is my favorite holiday side dish 🌟🌟🌟🌟🌟 all the way!! I love that it’s a make a day ahead recipe!